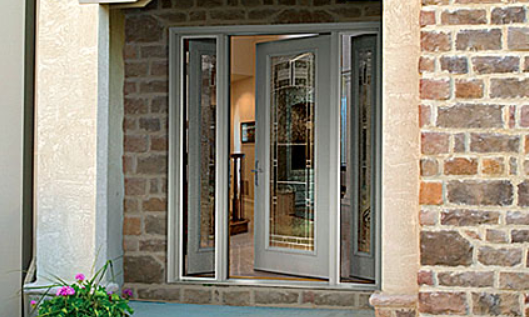 For over 30 years Home, Door and Window Products has been providing high-end storm doors to the residents of Ferndale. We have the largest selection of security storm door products of any of our competitors. The need for durable storm doors and knowledgeable customer service staff is the driving force at Home and Door. Our friendly staff can answer all your questions and provide you a free no-obligation quote for your new security storm door or replacement storm doors. Ferndale is a city in Oakland County, Michigan with a city population of almost 20,000 residents. Ferndale is well known in the Detroit area for its diverse culture and progressive policies. Also, well known in Ferndale are the quality, value, and options in storm doors found at Home and Door. When you are looking for storm doors and security storm doors near Ferndale, Home and Door is the place to call. Number one in customer service and satisfaction we deliver the highest quality Fox storm doors. At Home and Door, we strive to provide our customers with the highest quality steel door products from brands such as Trapp steel doors and Fox steel doors. Offering the exceptional service and dependable value our customers have come to trust is what makes Home and Door stand out in the security storm door industry. Stop at our extensive showroom today, or call (248) 399-9900 to see what options Home, Door and Window Products has for your storm door project. We look forward to working with you!